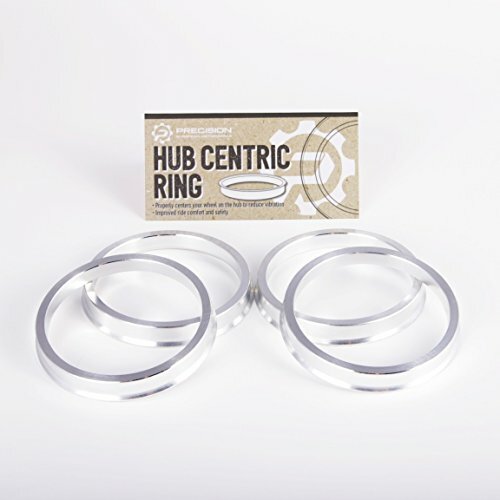 View More In Hub Centric Rings. What are Hub Centric Rings? Also known as hubrings, this device is installed between the vehicle's hub and the wheel center bore. The hubring fills in the gap between the vehicle hub and the centerbore of the wheel. This is assuming that your wheel's centerbore is not already perfectly centered (ie hubcentric) on your vehicle's hub lip. If your wheel's centerbore does not perfectly center on your vehicle's hub, you may experience steering wheel vibrations. Hubrings eliminate those vibrations by properly centering the wheel onto your vehicle's hub. How can I confirm fitment? Hubrings have 2 measurements, typically in millimeters (mm). The smaller of the 2 measurements is the inner diameter. This should match your vehicle's hub bore. The larger of the 2 measurements is the outer diameter. This should match your wheel's centerbore. These hubrings can fit many Mazda, Hyundai, Kia, and Mitsubishi vehicles. Message us with year/make/model if you have any fitment questions. Keep in mind that we do not know your wheel's centerbore. If your wheels do not have 73.1mm centerbore, these hubrings will not fit. - Buyers must ensure their Vehicle's Hub is 67.1mm. - Buyers must ensure their Wheel's Centerbore is 73.1mm. - If you are not unsure about fitment or the measurements, please do not guess. Send us a message and we are happy to help. [FITMENT] Buyer is responsible for ordering the correct size. It is necessary that you measure your vehicle's hub and your wheel's centerbore before purchasing. See the description section for additional information. [BENEFITS] Eliminate vibrations caused by your wheels not centering correctly onto your vehicle's hub. Easy to Install. If you have any questions about this product by Precision European Motorwerks, contact us by completing and submitting the form below. If you are looking for a specif part number, please include it with your message.